"James E. Butler, Jr." by James E. Butler Jr. Founding partner of Butler Wooten & Peak LLP, a nationally known civil trial practice firm. Benefactor of the James E. Butler Scholarship which is awarded to students with a demonstrated record of academic excellence, significant personal achievement, and a strong desire and commitment to practice public interest law and to serve the public good. 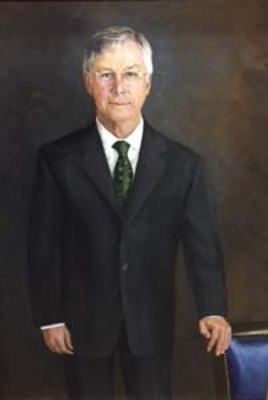 Namesake of the James E. Butler Courtroom in Dean Rusk Hall.